Installing "Safe-Walk" is relatively simple and non-intrusive. "Safe-Walk" does not contain caustic acids or other dangerous chemicals. There are no fumes or odors created during an "Safe-Walk" installation. The treated area can be used immediately after the installation has been completed. The first step is to clean the floor, removing any debris, oil, grease or other contaminants which may be present. If the floor has been sealed with some sort of coating, this sealer must be stripped away before the "Safe-Walk" treatment can be applied. In most cases, all that is necessary is to sweep the floor and mop with a mild cleaning solution. Next, the installer determines the correct strength of "Safe-Walk" chemicals which will be applied. Harder floor materials require more concentrated chemical application and longer treatment times than do softer materials. The correct treatment parameters are determined by testing small areas with varying strengths of the "Safe-Walk" chemicals until the proper combination is found. Once the correct chemical strength has been determined, the installer prepares the "Safe-Walk" chemicals and puts them into sprayers. The first chemical that is applied is called the Activator. The Activator contains a mild acid solution which releases a minute amount of the silica from the floor surface suspends it in the liquid. Silica, for those of us who are not chemistry wizards, is the primary component of glass. It is very hard and can take many forms. After the Activator has done its job, a second chemical, which we call the Fixative, is applied. The Fixative is the magic part of the "Safe-Walk" treatment. The first thing it does is to neutralize any acid which may remain from the Activator. It then causes the suspended silica to precipitate out of the liquid covering the floor. 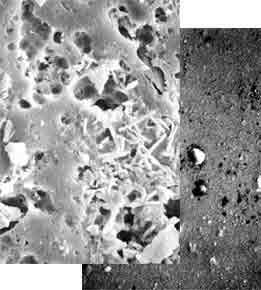 The silica recombines and forms tiny abrasive crystals which grow and bond themselves to the floor surface. By the time the installation process is complete, all the "Safe-Walk" chemicals have been used up and the remaining liquid is basically inert. The treated floor surface now has an abrasive texture and is therefore slip resistant. You would not know that anything has changed, however, by simply looking at the floor. This is due to the fact that "Safe-Walk" works on a microscopic level and does not change the appearance of the floor surface to any significant degree. "Safe Walk" is a remarkable new anti-slip treatment for hard floor materials such as tile, stone or marble. It is not a coating or an acid etching treatment. "Safe Walk" is a two-step chemical process which permanently changes the molecular structure of the floor material as it bonds millions of abrasive silica crystals to the floor surface. The result is a dramatic improvement in slip resistance, especially when the floor is wet. "Safe Walk" was developed in South Africa by inventor Philip Curtis. It has been widely used in South Africa and other countries since 1990. In 1998, "Safe Walk" was introduced in the Italy and is now available from Safety Concepts and its licensees. "Safe Walk" has unique attributes which set it apart from other floor safety products such as Safety Grooving, paints, coatings, acid etching, or matting. While each of these products has its place, "Safe Walk" is the only anti-slip treatment available which provides a substantial improvement in slip resistance, without altering the appearance of the floor material. This is why "Safe Walk" is known as the "invisible solution for slippery floors". In addition to unparalleled effectiveness, "Safe Walk" is long lasting and virtually maintenance free. It is not effected by weather, ultra violet light or cleaning products. 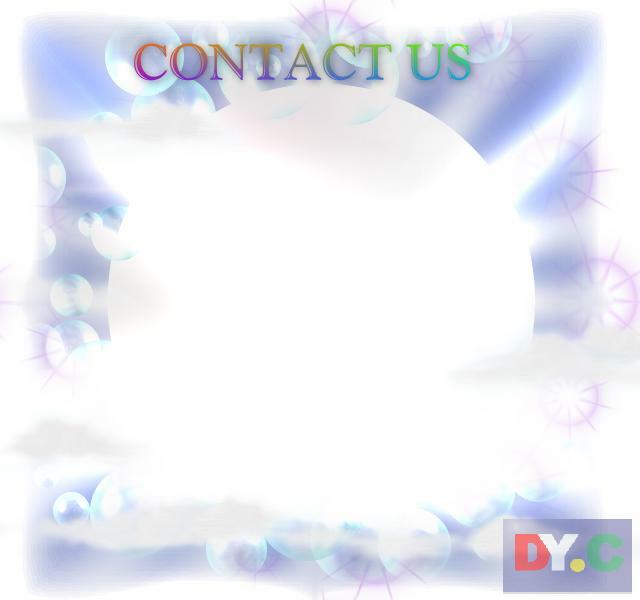 The same cannot be said about acid or other chemical treatments as well as paints or coatings. All of these products can have relatively short life spans. Each must be replaced or reapplied periodically, depending on traffic. In addition, most acid etching and other chemical treatments require frequent maintenance using special cleaning chemicals. "Safe Walk" provides the best combination of effectiveness, long life and ease of maintenance while allowing treated floors to retain all the aesthetic qualities of an untreated floor. "Safe Walk" can be installed in a matter of hours for a fraction of the cost of replacing a slippery floor. How Does "Safe Walk" Work? "Safe Walk" uses a patented two step chemical process to achieve dramatic improvements in slip resistance. The first chemical, which we call the "Activator" is sprayed onto the floor. A mild acid in the activator removes a small amount of slica from the floor surface and suspends it in a liquid. The second "Fixative" chemical is then applied. This causes the suspended silica to precipitate out of the liquid and grow millions of tiny abrasive crystals onto the floor surface. Unlike acid treatments, "Safe Walk" is a non-destructive process. There are no caustic fumes and no floor material is removed during the process. By a miracle of science, the treated floor surface is actually harder, (by 22%), than the untreated floor and therefore extremely resistant to wear. In tests by an independent testing lab, "Safe Walk" improved the coefficient of friction, (COF) of a typical glazed ceramic tile by 37%. This is a highly magnified photograph of glazed ceramic tile before and after it has been treated with "Safe Walk". "Safe Walk" has many useful applications. It is particularly effective when installed on tiled floors around swimming pools or in showers, locker rooms and restrooms. Other typical installations include restaurants, shopping malls, hospitals and nursing homes. Granite, marble or tiled entryways and walkways, especially those which become slippery when wet are excellent candidates for "Safe Walk". Residential applications include kitchens, bathrooms and entry foyers. If improving traction on wet floors, without altering the floor's appearance is the goal, "Safe Walk" is the answer. No other traction product even comes close. "Safe Walk" is the invisible solution for slippery floors.